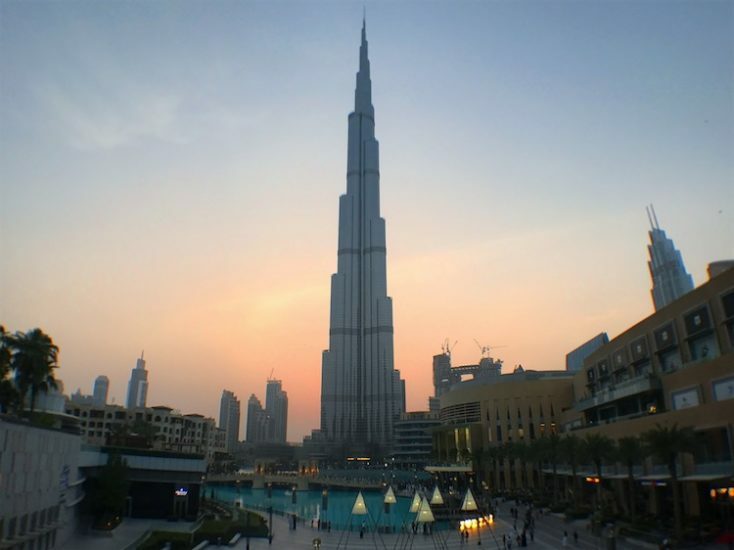 Today’s post on downtown Dubai is a guest blog by Medha Verma from www.hoppingfeet.com. Downtown Dubai is one of the most stylish, lively and entertainment-filled places in Dubai and is home to the iconic Burj Khalifa. If you’re visiting Dubai, a trip to this place and its attractions should be on the top of your list. Families, couples, and young travellers have more than enough options to keep them busy and entertained (check out the best family hotels in Dubai). 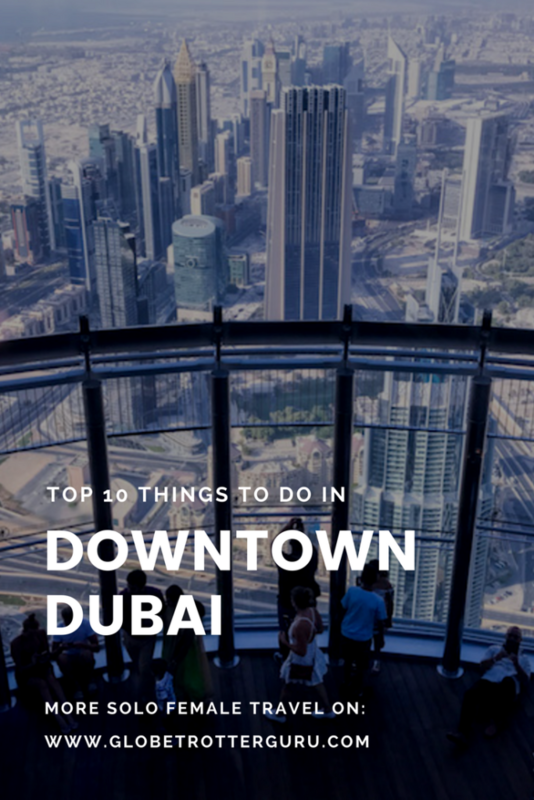 Here are the Top 10 things to do in Downtown Dubai. 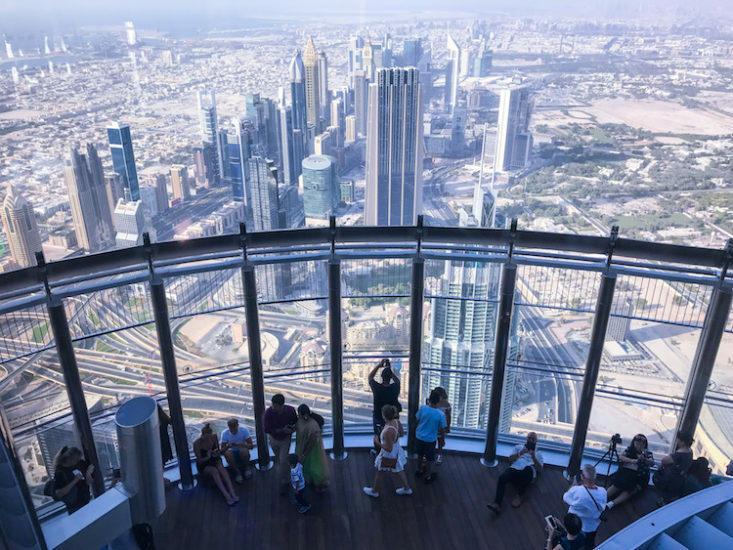 What can be better than going to the 124th floor of the tallest building in the world, and standing at an open-air observation deck (the highest in the world) and staring down at the beautiful cityscape of Dubai? The experience is amazing right from the moment you enter, as you walk through the corridors and learn through pictures, about the story of how the Burj Khalifa was conceptualized and built, to the elevator that zips you up within a minute, to the 124th floor and finally, the spectacular views from the top! The experience is amazing right from the moment you enter, as you walk through the corridors and learn through pictures, about the story of how Burj Khalifa was conceptualized and built, to the elevator that zips you up within a minute, to the 124th floor and finally, the spectacular views from the top! Many people often compare these to the Bellagio Fountains in Las Vegas. 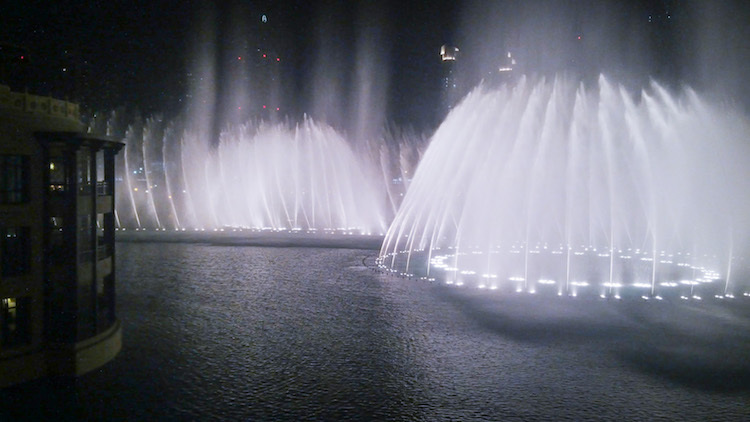 In my opinion, Dubai Fountains are a class apart! They’re magical, synchronized beautifully to variety of music ranging from Bollywood tunes, instrumental music, old English melodies and Arabic tunes. I am not exaggerating when I say that your heart almost skips a beat when the music hits a high note and the fountains shoot exceptionally high, with the sparkling Burj Khalifa in the backdrop. The shows start in the evening right before sunset and take place every 30 minutes until 11 pm. 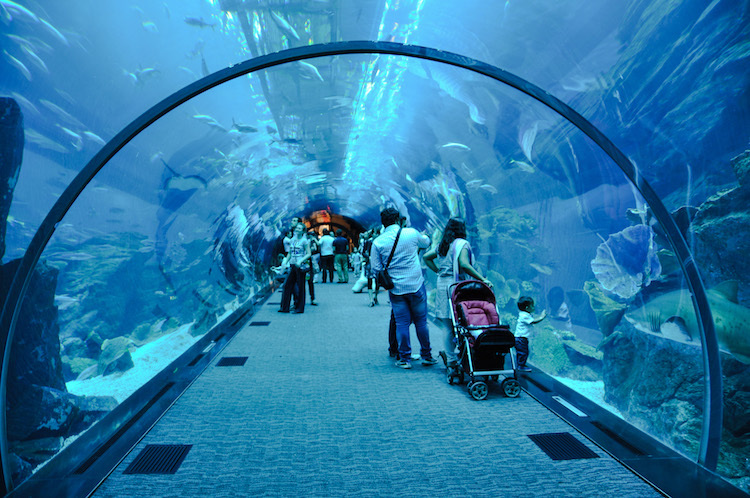 Dubai Aquarium is inside the Dubai Mall and is said to have the largest acrylic panel in the world. Although you can view this from the outside, without paying to go inside, I recommend experiencing the Underwater Zoo and other interesting things inside the Dubai Aquarium. A walk through the tunnel followed by a glass-bottom boat ride or even shark dive in the aquarium are a few interesting things offered. The lesser adventurous can just explore the fascinating aquatic world by visiting the zoo, where several sea creatures are exhibited in their natural habitat. A recently opened attraction and a popular one at that, Dubai Opera is an exquisite landmark even from the outside because of its architectural genius and how it blends beautifully with the futuristic buildings in its surroundings. It hosts the biggest names from around the world in opera, ballet, theatre and classical music and even if you’re not into these things, just the magnificence of the experience makes it worth visiting at least once! 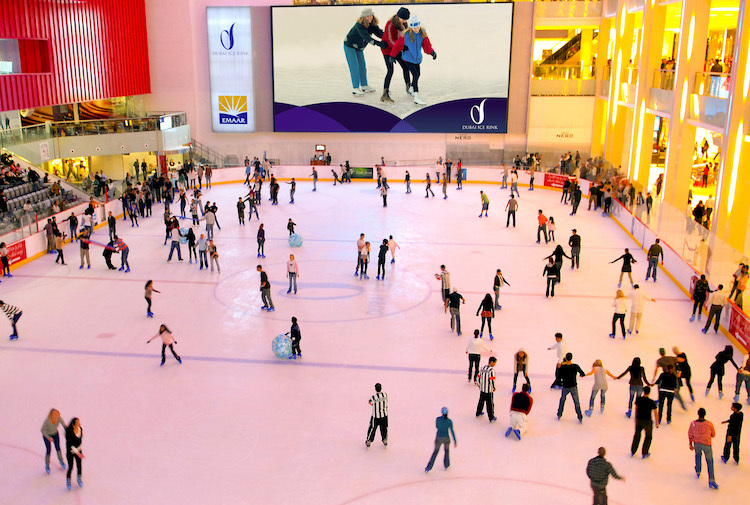 This Olympic-size Ice Rink is located right in the middle of Dubai Mall and is perfect for people with all skill levels – from the beginners to the masters. Even if you’re a little sceptical of trying your skills, just watching people skate on an artificially created ice-floor in a city that is one of the hottest during summer, is an awe-inspiring experience. And if you’re unable to resist joining in the fun but don’t know how to skate – just get the little penguin pals (skating aids) and have some fun! 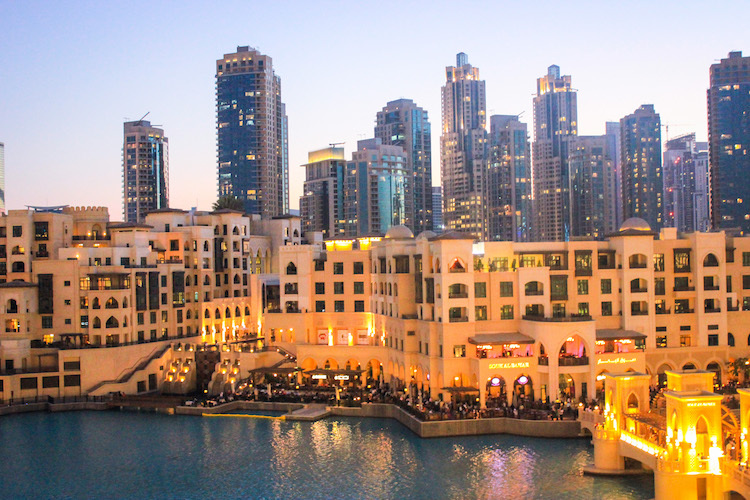 A chic indoor souk located right across Dubai Mall, Souk Al Bahar is a shopping and dining destination in itself. 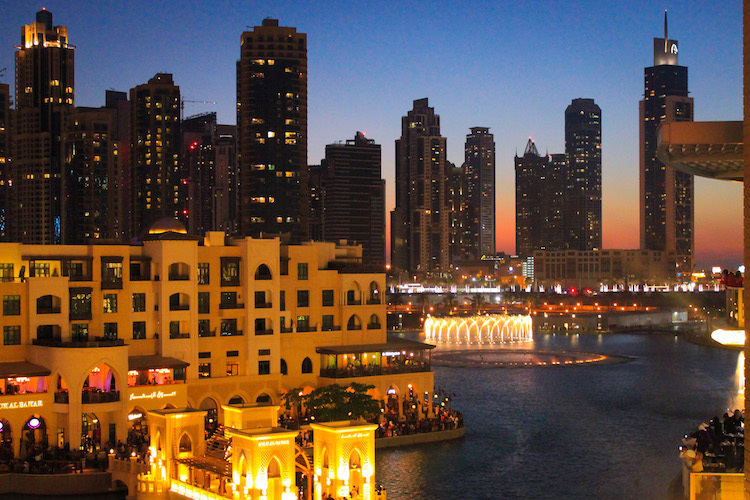 Many restaurants here offer outdoor seating with views of the Dubai Fountain and unlike most restaurants on the Dubai Mall side, you can get alcoholic beverages here! You can also pick up some handicrafts, accessories, and souvenirs at the stalls and shops located here. Although slightly more expensive than the markets and outdoor souks, the variety here is quite interesting. The largest mall in the world has some of the most fashionable brands from around the world. Name it and you’ll find it in the Dubai Mall. It is not possible to be able to explore the entire mall in one day so you’ll have to be smart and pick the stores of your choice. Make sure to be in comfortable footwear, there’s a lot of walking required! The mall is usually crowded but it is so large that you probably won’t even feel it! This retail heaven is not a place you should skip. And even if you cannot afford it, a walk across the Fashion Avenue featuring the top designers, is an incredible experience! I pick this dining outlet specifically because of its setting. A wild artificial tropical rainforest, with animal sounds in the background, the jungle theme comes alive in the smallest of details. I am not a big fan of their food but sometimes, the experience and ambience make for the lack of good taste! 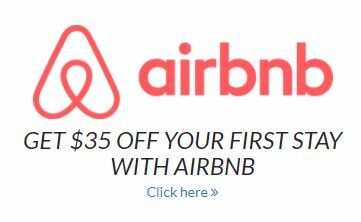 You will not regret it. 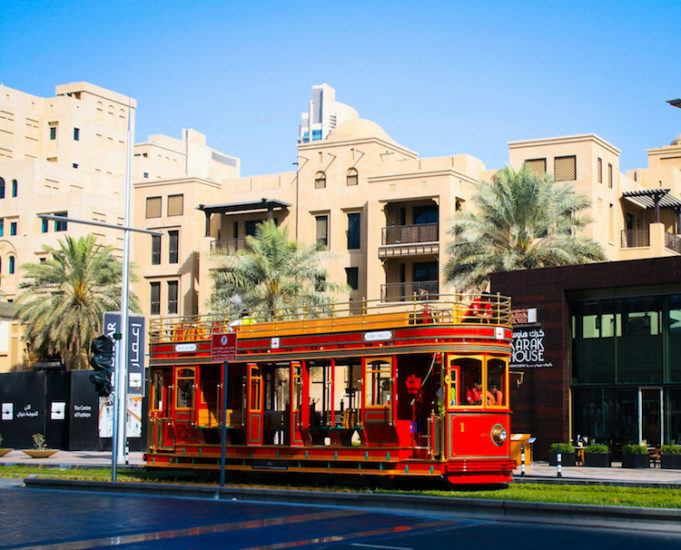 Dubai is known for doing everything with finesse and style, and the trolley is the perfect example. A Hop-on Hop-off tramway that does a 7-km loop around Downtown, this is the perfect way to explore the area. It usually runs at a leisurely speed giving you enough time to absorb the surroundings. You can choose to either sit in the open deck or the closed air-conditioned space. The pretty red and gold trolley can be boarded from outside Dubai Mall, right across Burj Khalifa and the Dubai Fountains. 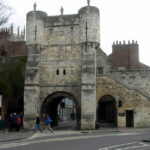 The perfect place to visit in the winter, the alfresco cafes and restaurants here are a must-visit. 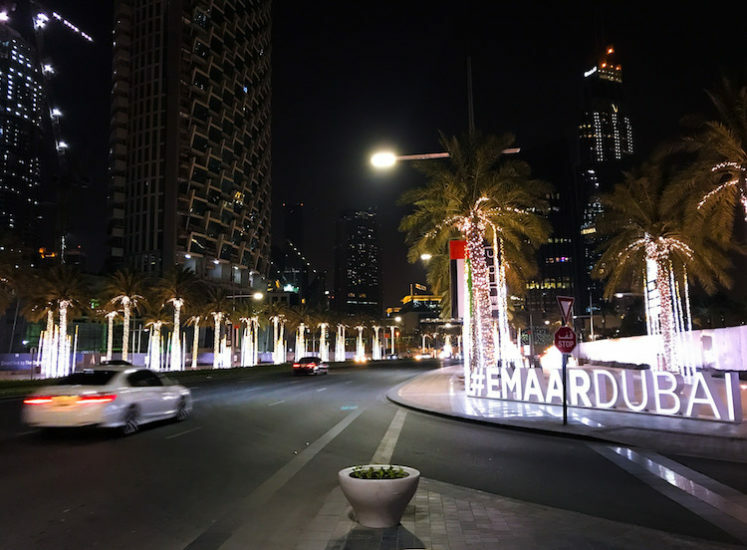 Located right next to Dubai Opera on a street that is adorned with brightly lit trees, it feels like the festival season here! 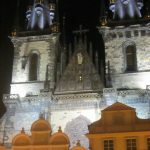 But this is not rare, the place is always lively and buzzing, especially from November – April and people want to make the most of the cooler weather.